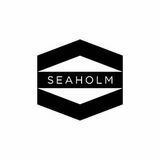 Introduction to the Seaholm White Paper by Ashton TracY The mechanical watch is a marvel of engineering that has defied all odds and literally stood the test of time. Over the past century, we have seen advancements in horological engineering that continue to push the mechanical time-keeper ever forward in its quest for greater accuracy and reliability. However, the mechanical watch is not without its enemies. The wear and tear of daily life can have a detrimental impact on accuracy and overall reliability. Watches are subjected to shock, magnetism, and exposure to water on a daily basis and these elements can have a negative effect on overall performance. Shock The most obvious of the three disruptive forces is a shock to the watch. Any shock, no matter how major or minor will have a negative effect on the timekeeping and reliability of your watch. Watches are subjected to minor shocks continuously. Whether it be brushing past a chair, an accidental bump on the desk, or knocking it against the garage wall, these all affect reliability in some way. Even the simple task of clapping your hands causes a disruption of your balance spring which is the main component responsible for accurate time-keeping. Mechanical watches all run at different frequencies, which basically means the balance completes a full oscillation, faster or slower, depending on the number frequency. A watch movement with a frequency of 2.5 HZ will have a slower balance oscillation than a watch with a frequency of 10 HZ and so on. When a watch with a low frequency receives a shock the oscillation of the balance will be disrupted which in turn causes the watch to cease keeping accurate time for the period it takes to recover. The same is true of a watch with a higher frequency but the recovery time will be quicker. To mitigate the effects of a shock you may be thinking watch companies should just produce vastly higher frequency watches, but this isnâ&#x20AC;&#x2122;t the answer. Watches that run at a higher frequency have more work to do in the same period of time, which means lubrication breakdown and wear on components will happen at a quicker rate. The best option to improve accuracy is to absorb the impact of shocks, without excessively increasing frequency. When a watch receives a severe shock, such as being dropped on a concrete floor, a lot more than a disruption of the balance can occur. Dial feet can sheer off, pivots of wheels can break, screws can become loose and bridges can shift. All of these outcomes require extensive intervention and costly repairs. Water The second most common area a watch can run into trouble is water. Water has a huge impact on the delicate mechanical components of a watch as most of the parts are made from either brass or carbon steel. If exposed even briefly, rust can set in and quickly spread. Sensitive items, such as the dial and hands, can be destroyed beyond repair even if the exposure is limited. There are two standards for watch water resistance as set out by the International Organization for Standardization. They are ISO 22810 and ISO 6425. ISO 6425 is specifically for dive watches and is the more in-depth and rigorous of the two. There are a few major differences between ISO 22810 and 6425 testing. The first major difference between the two ISOs is batch testing. ISO 22810 tests batches of watches whereas ISO 6425 requires that every watch be tested. ISO 6425 tested watches are pushed to their limits via over-testing. Over-testing means they are taken to their intended pressure, plus 25% for a period of 2 hours. ISO 22810 only tests to the pressure stated on the dial for 10 minutes. ISO 6425 takes thermal, stress and durability testing to greater extremes to ensure accuracy and longevity through a variety of circumstances. Watches tested to ISO 6425 are designed to be used in the most extreme of conditions. Magnetism The third challenge to the accuracy and reliability of a mechanical watch are magnetic fields. Magnetism has a large effect on mechanical watches and can be extremely detrimental to reliability if not addressed. The effect of magnetism on a watch is less severe than the previous two forces we discussed as magnetism does no permanent damage, but it is the most prevalent. Watches are exposed to magnetic fields on a daily basis whether it be from a computer, speaker, iPad cover or handbag clasp. When a watch enters a magnetic field small components, such as the escape wheel and balance spring, can become magnetized. The coils of the balance spring will be attracted to each other and end up â&#x20AC;&#x2DC;stickingâ&#x20AC;&#x2122; which will shorten the active length of the spring and cause the watch to gain huge amounts of time and eventually stop. Conclusion Mechanical timepieces can last a lifetime or more, but shocks, exposure to water and magnetic fields all adversely affect your watches performance. The watches that best protect against these forces will be the most durable, reliable and long lasting. Watchmaker Ashton Tracy obtained his WOSTEP diploma in Manchester, UK at the worldrenowned British School of Watchmaking. Ashton is a member of the British Horological Institute and the New York Horological Society and is heavily involved in horological education, helping to educate the public and train the future generation of watchmakers. Ashton is also an accomplished horological author, writing for publications including Quill & Pad, World Tempus, The FHH Journal, Worn & Wound, Watches By SJX, International Watch, and The Horological Journal, the oldest continuously published technical journal in the world. 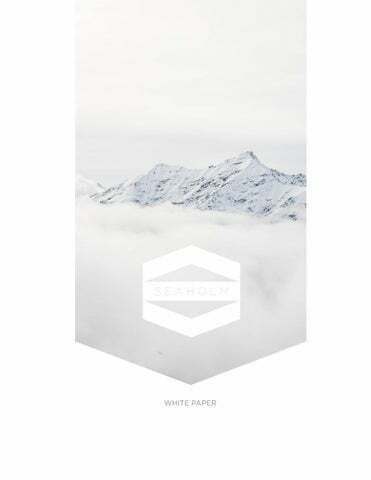 THE SEAHOLM WHITE PAPER We began developing our line of watches in 2013. Integral to the design process was the structural viability and durability of our watches. Standards set forth by International Organization for Standardization (ISO) with regards to anti-magnetism, water resistance and shock resistance were the starting point for our development process. Our goal was to produce automatic watches that could endure the experiences of an active, outdoor-oriented lifestyle. We found that the requirements of the ISO standards were not sufficient enough to support our goals. This paper highlights the ISO standards and the development of Seaholm automatic watches compared to those standards. ISO 1413 - MAKING THE INADEQUATE SOUND IMPRESSIVE The fundamental requirement of ISO 1413 is that an automatic watch, falling 1m (3.28ft) onto a hardwood floor, should maintain accuracy within a range of +/- 60 seconds/day. The resulting force of a 3ft fall is equivalent to 5,000g (g-force), This is about the same energy delivered by a typical golf swing. Although a calculation of 5000g sounds impressive, high g-forces can be generated easily by common solid objects falling insignificant heights (dropping a mechanical watch or knocking it against the wall) onto hard surfaces. While large forces over a long period of time (fighter pilot maneuver) result in a lower â&#x20AC;&#x153;gâ&#x20AC;? number. Also, accuracy limits for most automatic watches is generally +/- 15 seconds/day. A watch with a deviation of +/- 60 seconds/day would be considered unacceptable. Traditional Shock Mounts Traditionally, mounting a movement in a watch involves screws and/ or a solid metal ring or brace. These casing methods do nothing to reduce the shock transmitted to the movement at impact and may even increase the shock transmitted. * Our first step was to model the acceleration vs. time for a traditional metal movement mount and a compliant movement mount. The goal of the analysis was to determine if a compliant movement holder significantly reduced shock input to the movement. Chart 1 clearly shows this is the case. Note that the red line shows (a) a delay in the force of the shock on the movement (i.e. less force on the movement) (b) a reduction in the peak forces of the shock (c) a reduction in the amount of high frequency oscillation. The compliant movement mount reduces shock by 71% for a 3ft drop according to our modeling. Even though an automatic watch passes ISO 1413, you risk damage to your watch if you knock it or drop it during everyday use. The Seaholm Visco-Elastic Shock Mount Having determined casing methods using a compliant movement holder provided improved shock resistant characteristics, we researched complaint materials that provided the best shock resistant profile. Elastic materials, like rubber or steel, return to shape quickly after force is applied. Viscous materials, like water or gel, deform when force is applied. Visco-elastic material displays characteristics of both elastic and viscous materials. Unlike rubber, steel, plastics or other elastic substances, visco-elastic materials deform under stress and return to shape slowly. This slow return to shape efficiently dissipates energy. Unlike viscous materials, visco-elastic materials retain their shape when force is applied. Demonstrations of the shock reducing proprieties of visco-elastic materials are widely available on the Internet. Seaholm worked with visco-elastic manufacturers to determine, from the wide array of visco-elastic material, the best type and durometer for watch casing applications. No synthetic rubber or metal can dissipate energy as effectively as visco-elastic material. SEAHOLM INDEPENDENT SHOCK TESTING Having determined the best sock-resistant material, Seaholm commissioned our own independent shock testing through Stress Engineering Services, Inc. of Ohio. The goal was to test shock resistance from an experiential not experimental perspective. We chose to actually drop our watches not simulate shock via a pendulum or modeling. Not only is the watch case tested but also the bracelet and connection between the bracelet and case. Test Procedure SES conducted testing using (4) Seaholm automatic watches. One watch was dropped from approximately 2m (6.56ft), one watch from approximately 2.5m (8.20ft), and one watch from approximately 3m (9.84ft) onto a white pine 1” x 12” thick piece of lumber. The fourth watch was not dropped and used as the timing standard. Methodology SES first confirmed each watch’s ability to track time for 1 hour prior to drops, and repeated this inspection after the drops to observe if each watch could track time for 1 hour properly after impact. See Image 3-6 for the initial and the final inspection points. Drop Test Each watch was positioned in the same manner by a technician holding the watch at approximately the prescribed height for each test. The watch was held by the band and the bottom of the crystal was set at the drop height. Each watch was dropped onto a piece of white pine 1â&#x20AC;? x 12â&#x20AC;? lumber whose appearance at the impact site is free of knots. Three of the four watches were tested. The four watches (three tested and one untested) were arranged in front of a web camera and recorded for 1 hour. Post-test, all four watches have their second and minute hands in a similar position as the initial inspection point. Results The three watches tested (dropped from approximately 2m, 2.5m, and 3m) were able to track time similar to the control watch for 1 hour after drop impact. Testing did not determine the shock resistant limits of the watches, only determining their ability to endure shock to up to a 10ft drop. Seaholm automatic watches survived a 10ft drop, or an estimated force of 15,000gâ&#x20AC;&#x2122;s, with NO deviation in accuracy. This is at least 3 times the ISO standard. ISO 764 - A REFRIGERATOR MAGNET? Magnetism is the main reason watches are returned for service. In a study of 1000 watches returned to German watchmaker SINN, nearly 60% of the watches received were magnetized, and half of these (30%) had severe defects caused by magnetic fields. * In order to satisfy ISO 764, an automatic movement must run within a +/- 30 seconds per day deviation after experiencing a magnetic field of 4,800 A/m or 60 Gauss for 1 minute. ISO 764 standards fall short of protecting movements in modern times. Relatively low magnetic field exposure will magnetize a watch that has passed ISO 764. Small magnets, like those found in your iPad cover, a refrigerator magnet, stereo speakers or computer monitor, produce magnetic fields greater than 4,800 A/m. Even frequent high-altitude flying can magnetize a ISO 764 compliant watch. Pure Iron Movement Cage Seaholm Swiss-made movements are protected by an ARMCOÂŽ 99.8% pure iron case. The iron case includes the dial, the movement holder and the case back. Iron, a highly permeable material, draws the magnetic field to itself, leaving the parts inside the movement unaffected. Soft iron doesnâ&#x20AC;&#x2122;t remain magnetized once the source of the magnetic field is removed. SEAHOLM INDEPENDENT MAGNETIC TESTING Seaholm commissioned our own independent magnetic testing through Professional Testing (EMI), Inc. A DC field coil was used to test the watches according to ISO 764 procedure. The test sample was referenced to an independent network-locked device (cell phone) and compared after the 1 minute soak time for each polarity +/- and for each axis X, Y, and Z. Photographic evidence of the reference device next to the test sample was used to observe and record the result. IMAGES 8 - 13 The EUT maintained time to within 1 second and satisfied the criteria for the specified test level. Seaholm automatic watches withstood magnetic forces to 33,500 a/M or 420 Gauss with NO deviation in accuracy. This is at least 7 times the ISO standard. NOT ALL WATER RESISTANT STANDARDS ARE CREATED EQUAL There are two ISO standards for water resistance and criteria for testing, ISO 22810 and ISO 6425. Watches that satisfy the criteria of ISO 6425 are labeled “Diver’s” rated watches. Watches tested to a depth rating of 200m with ISO 6425 standards can be used for serious surface water sports, professional marine activity and scuba diving at depths not requiring helium gas. The differences between ISO 6425 and ISO 22810 are “staggering”* according to a recent Gear Patrol article. All Seaholm watches are tested to ISO 6425 standards. The Rover and Clark models do not have a time-preslecting device and cannot be considered “Diver’s” rated watches. All Seaholm watches are tested to ISO 6425 standards. GENERAL INFORMATION For any questions or inquiries please contact us directly at: info@seaholmautomatic.com 1-855-SEAHOLM ÂŠ 2018 SEAHOLM, INC. www.seaholmautomatic.com No part of this catalog may be reproduced, stored in a retrieval system or transmitted in any form, or by no means, electronic, mechanical, photocopying, recording or otherwise, without prior permission of the publisher.